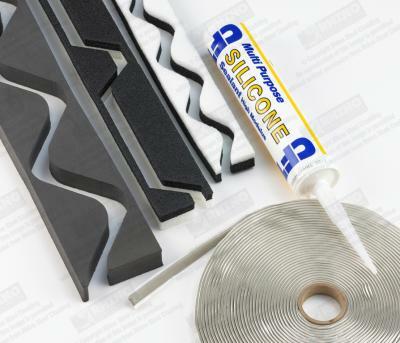 We supply a wide range of roofing accessories to suit all applications. We have PVC Tape, Black Cloth Tape, Metalised polyethlene tape and EPDM tapes in stock. These tapes are available in a range of sizes. Available in stock are vast range of fasteners and rivets. From V fast fixings, SFS Intec Fasteners, Stainless steel and colour headed rivets. These products and many more are available in a range of sizes and colours. In stock we have a range of masonry and steel drill bits. We also have jigsaw blades, reciprocating saw blades and also disk blades. Blades sold in packs of five or individually. We have a selection of tube sealants available. Ideal for a range of purposes with construction, industrial roofing and glazing projects. We have available:rnSilfix U9 310ml.rnSeamsel BR 380 ml.rnExpanding tire construction foam.rnLow modulus silicone.rnOther types and sizes available to order. We stock a wide range of foam fillers 32/1000, Profile 3, Profile 6, Big 6 Big 6M to name a few.